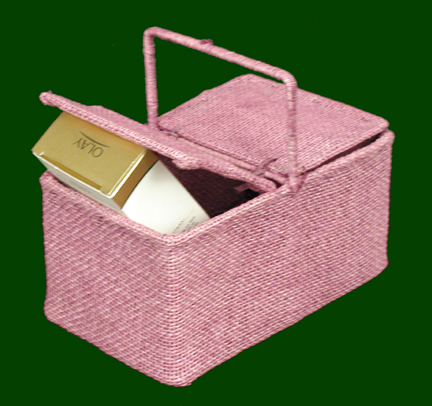 This burlap covered basket measures 8" long, 5" wide, 8.5" tall to the handle, 3.75" tall to the lid. It is available in all Spring Colors and Matte Finish colors. The sample shown is finished in Fushcia. Note: The Natural color of this material is Pure White.